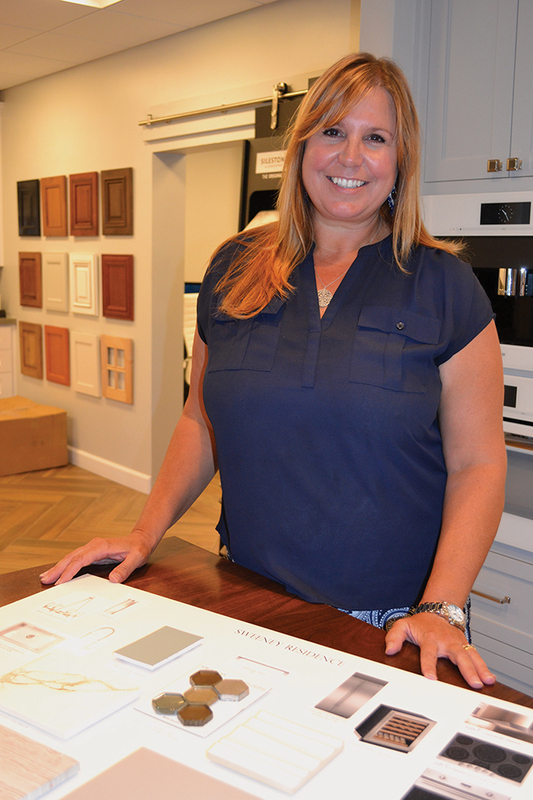 Meet the faces behind three of Coronado’s successful interior design practices and the trends they see coming. Jessica Tompane hails from a small town in Texas and that same small-town ambiance is what drew her and her Navy husband to Coronado last year. The couple had met at the University of Colorado, where Jessica graduated with a double major in business and Spanish. They first moved to San Diego and after Jessica worked for a while in advertising, she realized she was blessed with a passion for interior design (which she had since childhood) and entrepreneurship. After working with other designers to hone her craft, she established J Hill Interiors in 2010 (Hill is her maiden name). Tompane also moved her company to the island last November. J Hill Interiors’ offices are at 1307 Ynez Place, and Tompane plans to host a series of community design seminars in the remodeled space over the coming year. 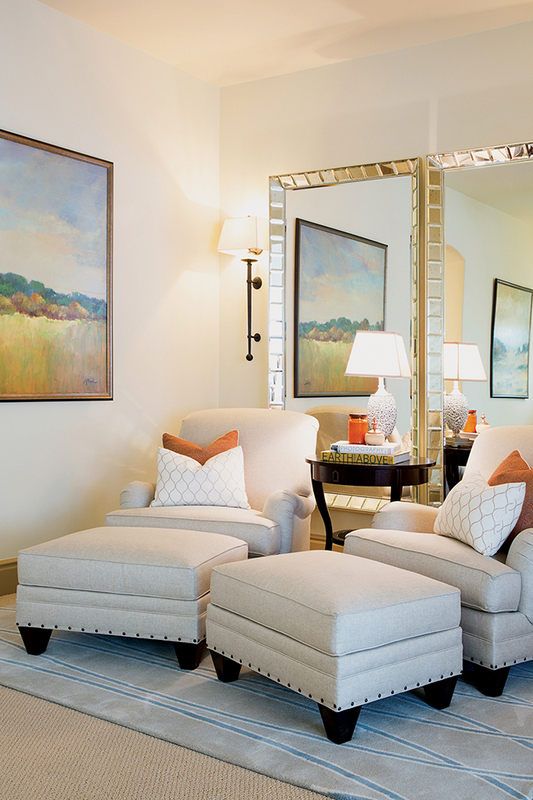 She and her team of designers are all members of the American Society of Interior Designers (ASID). McKnight holds a B.A. in interior design from Westwood College of Design and is pursuing certification for the National Council for Interior Design Qualification. 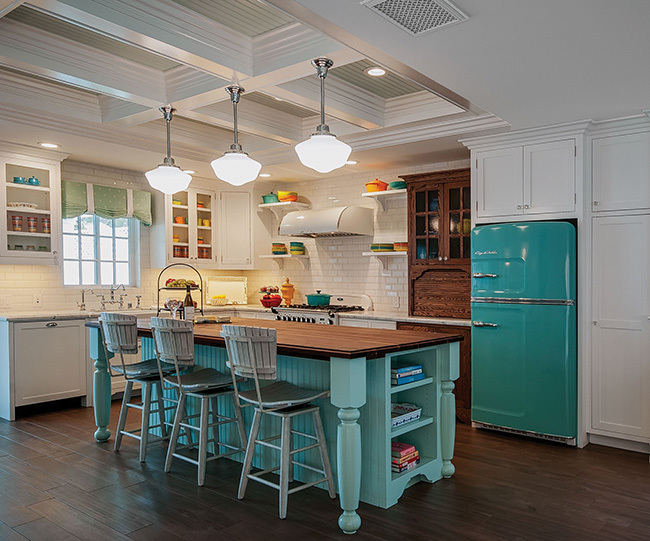 J Hill Interiors specializes in residential construction, including new construction, where they collaborate with architects and general contractors, as well as renovation work. The firm’s portfolio includes projects throughout country from Mission Beach to Mount Helix and Rancho Santa Fe. In Coronado, current project work includes new construction on F and H avenues and a full house remodel. “Our company values are about relationships and results,” Tompane said. “Yes, we often are dealing with luxury design, but we are down-to-earth. We want our clients to use us now and come back to us in years to come. Tile detail. The use of the same material but in unique patterns, such as a subway tile in a basket-weave pattern. Natural stone countertops and also “waterfall counters” in which the stone (or other material) carries over to the side of the counter (or kitchen island) and extends to the floor for a modern, sleek look. Folding interior/exterior doors. 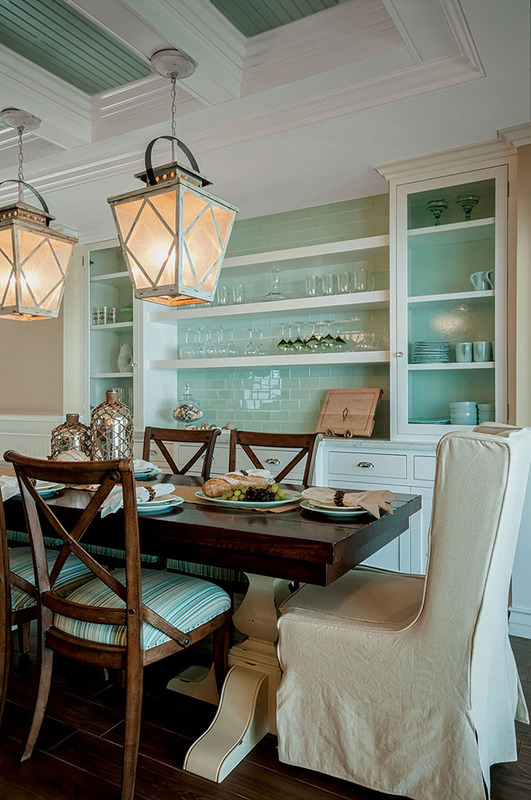 “It’s a lasting trend, because it’s so functional for living in Southern California and makes a huge difference with lighting and the overall “wow” factor in a home,” says Tompane. 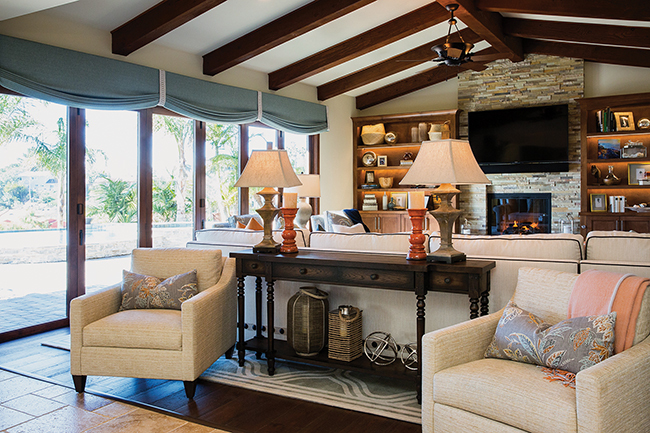 This great room design by J Hill Interiors features accordian (folding) doors, a popular trend in Coronado and Southern California, where homeowners want to enjoy an indoor/outdoor lifestyle. Example of using​ outdoor fabrics in an interior space. Outdoor fabrics now come very soft; great for stain resistance or blocking. Accessories, lighting and furniture come together in a well-styled room by J Hill Interiors. Designers Jessica Nicolls and Karyn Frazier have worked together since 1996, beginning their collaboration at a fashion boutique in their native Truckee, Calif. Frazier moved to Coronado shortly after Nicolls married local builder Kraig Nicolls. After taking classes in interior design at San Diego’s Design Institute, Jessica Nicolls established Bungalow 56 with Frazier four years ago; the company moved into offices at 1022 C Ave. two-and-a-half years ago, “which dovetailed with when I had Hadley,” said Jessica, referring to the birth of the Nicolls’ daughter. Kraig Nicolls operates his contracting business, Nicolls Design Build, from the rear office and the two companies often work on joint projects. To start the process off, Nicolls will often point to a couple of key design pieces in their showroom, like a sofa that comes in a number of fabrics and textures. “It’s always good to spend a bit more on a sofa and rug and then find alternatives for accessories,” she advised. Mediterranean influences. 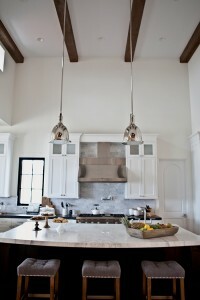 “Like white walls with exposed wood beams,” said Frazier. Graphic tiles “They are made out of cement and sealed,” Nicolls said. Matte black fixtures, “even appliances,” said Frazier. 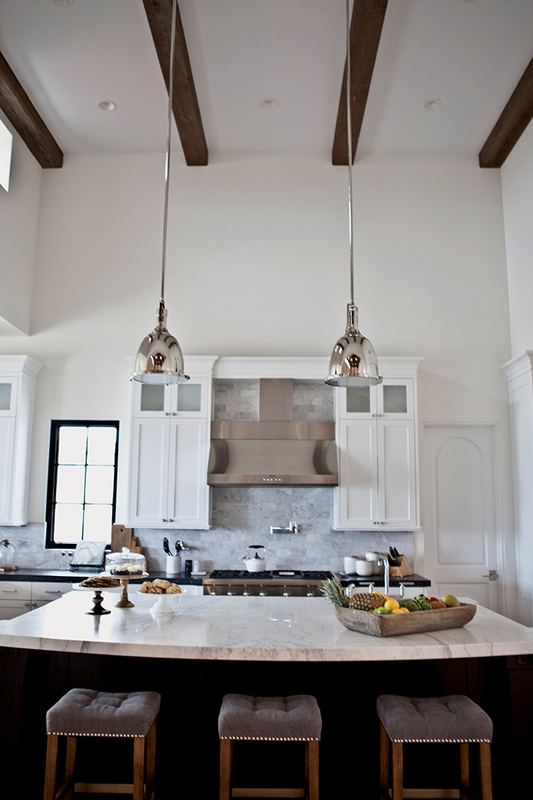 White walls and exposed wood beams add a Mediterranean touch in the kitchen designed by Bungalow 56. 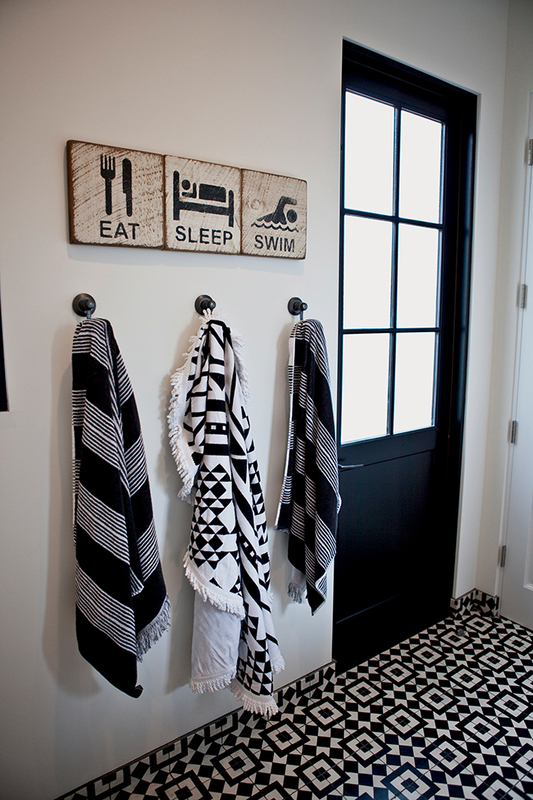 Graphic floor tiles are incorporated into this design by Bungalow 56. 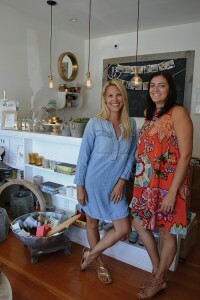 Jessica Nicolls and Karyn Frazier of Bungalow 56. 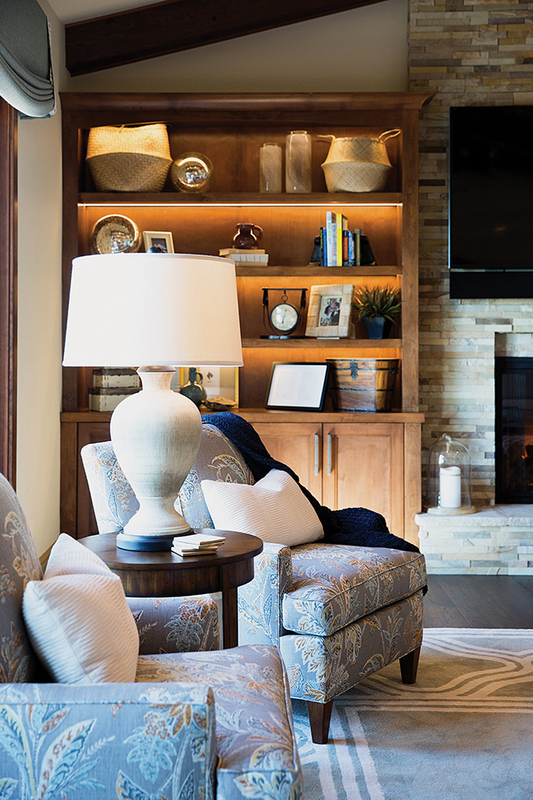 After raising her family and designing her home in Alpine, where she still resides, Tharp established her interior design firm in 2003 and became an allied member of ASID in 2004. She began working on several projects with Jacobs-Bonnett a decade ago and in 2013, partnered with his company to help streamline its interior design process. Dominique Tharp of Qualcraft Construction reviews a vision board with client Dave Sweeney. 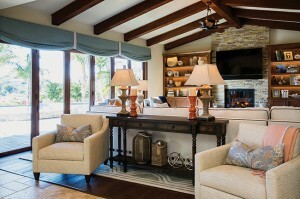 Tharp used porcelain plank flooring on a cottage design (below), and also incorporated it into a more modern design at a Coronado Shores condo.